This forum is for autistic and asperger adults. Here, we can speak of issues we meet as adults. 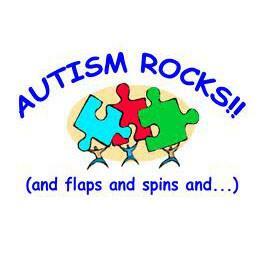 This forum is open only to those on the autism spectrum. Started by JB (aspie04); 951 views. I don't know of there's anybody here who's a fan of the Comedy Central animated series "South Park," but I think that there is one character who has some traits of Asperger's syndrome. His name is "Butters." He's a boy with a tuft of yellow hair on his head. Somehow, he didn't "fit in" with the main characters (Stan, Kyle, Cartman) when he was their "fourth friend." I'm no expert on AS nor do I play one on TV (;-)), but I will use the Gillberg criteria for finding out whether or not little Butters has AS. I was going to post this on the gotimmygo forum, but the people there would have thought of me as the greatest wack-job ever. But then again, so would other people. What about Carlos Nietos on Third Watch? Any other candidates in movies, tv or literature? Does anyone consider that a lot of writers may have AS and therefore write about what they know? And btw, how AS is the Simpson family? people say Im a cross between Homer Simpson and Ozzie Osbourne. Below is a link to a site with a list of people (fictitious and otherwise) who have autistic traits. Yeah, I think I have already visited that site, I tend to take those lists with a grain of salt these days, unless it specificly says the person in question has had an offical dx. Pretty interesting stuff, considring the site is made by someone from England. What does being from England make that list interesting? The best episode was when Butter's mother freaked out over finding out her husband was hanging out in the "gay baths" and tried to kill Butters. That was the funniest thing when she sent Butter's to follow him and he walked in on the father doing himself. Damn that was a riot!! What about Jacque Mayal in the Big Blue.